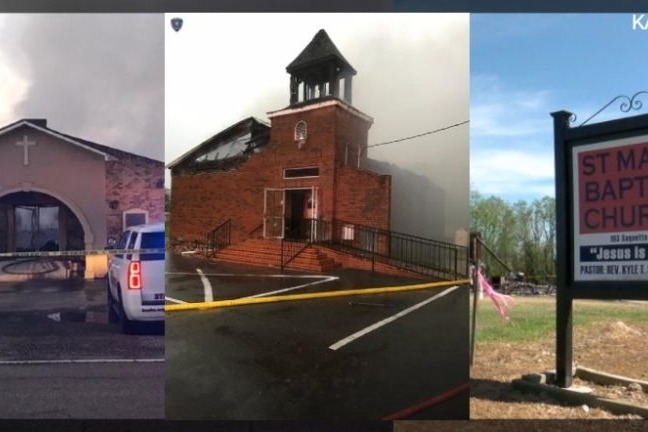 Listen to Pastor Mason Jack on WBOK Radio 1230 AM at 5:55 P.M. today on the support being received from all over the country for the congregations of the church fires. Pastor Mason Jack with the Seventh District will be interviewed on KADN News Channel 15 at 5 P. M. today on the outpouring of support locally and nationally. Channel 15 will also post the interview on their website. Thank you from Pastor Gerald Toussaint of the Mt. Pleasant Baptist Church of Opelousas,Louisiana.